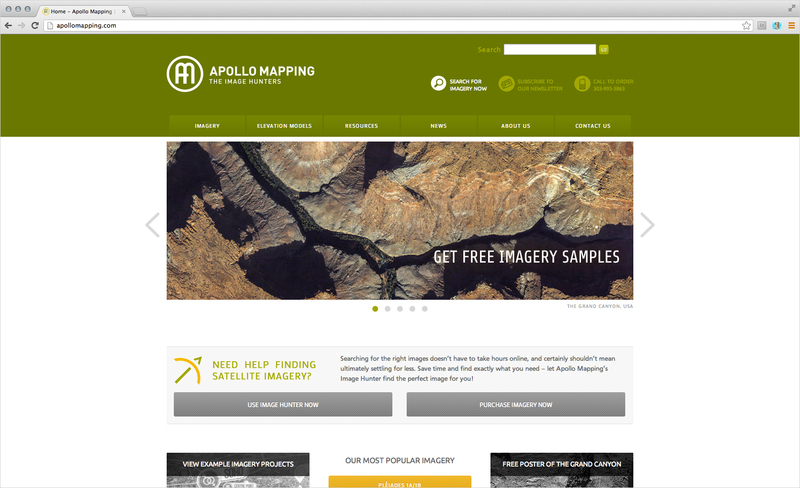 One of our favorite clients is Apollo Mapping. 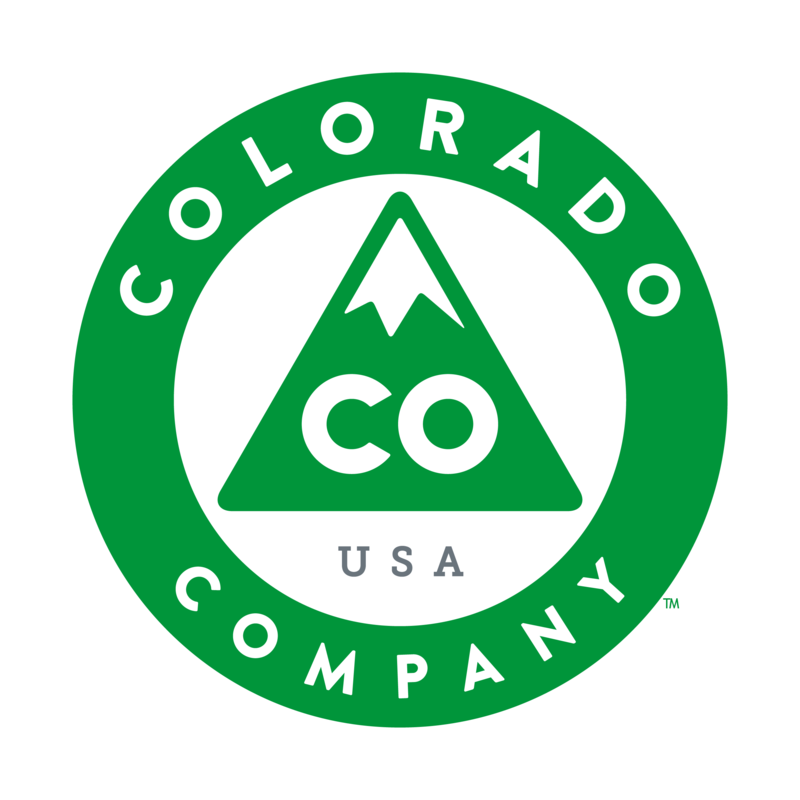 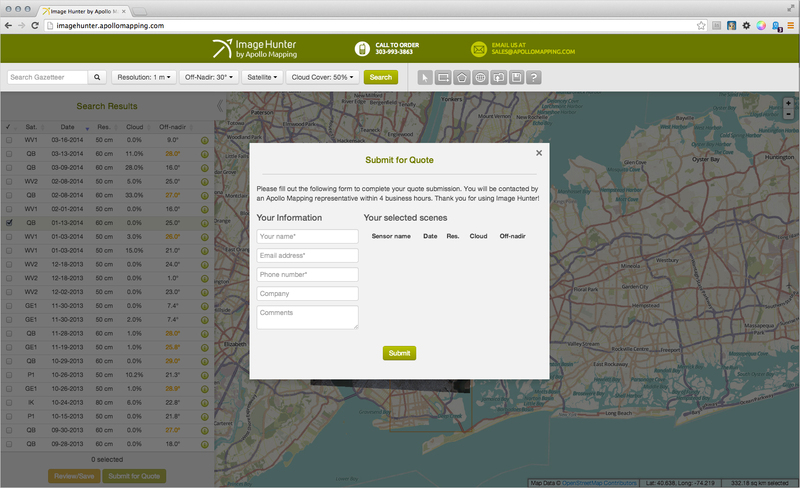 In 2013 they reached out to us to redesign their website. 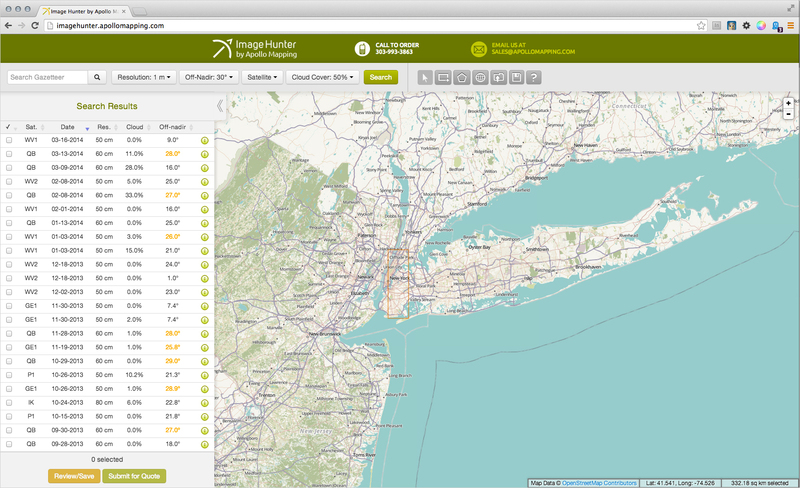 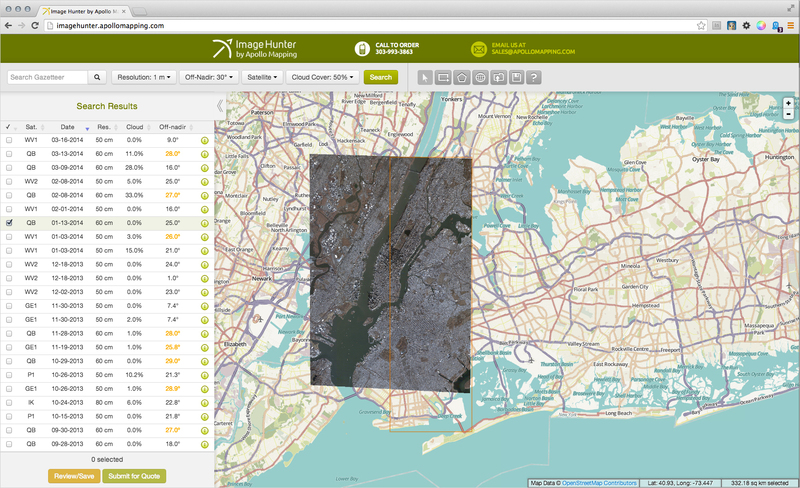 The final product worked out so well they asked us to continue working with them on a variety of projects, including designing the UI/UX and design of their online satellite imagery search tool Image Hunter. 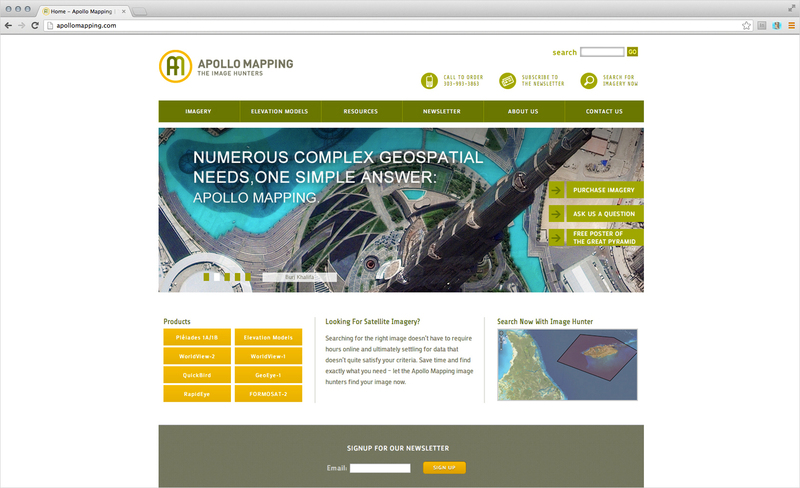 Other projects with Apollo Mapping include: GISrack (a cloud storage solution for GIS data), email marketing, and Google Adwords advertising campaigns.